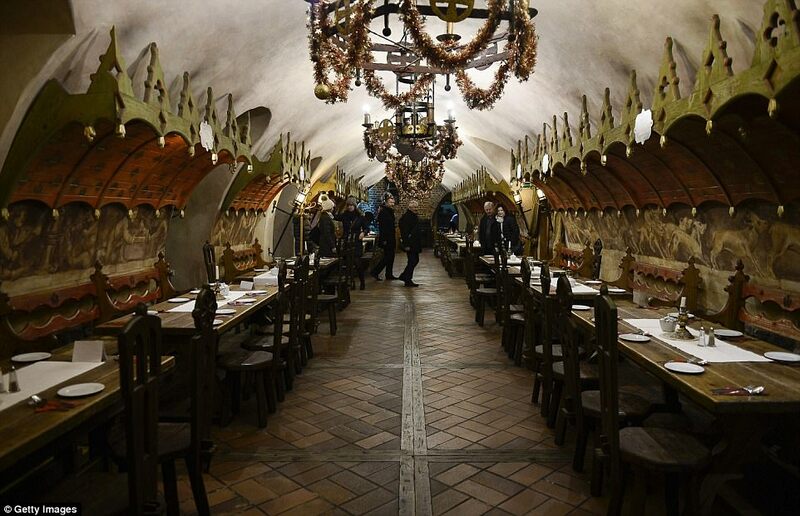 These cavernous underground dining areas are part of the 10-room Piwnica Swidnicka, Europe's oldest restaurant. 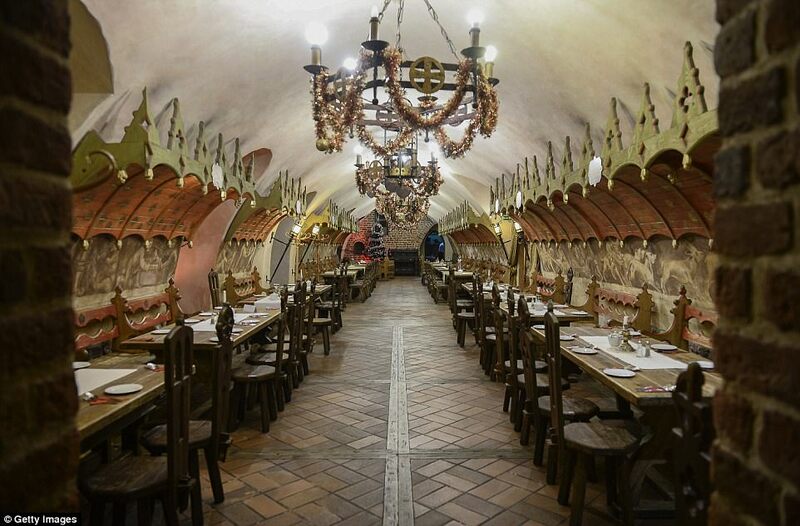 Located in the Main Square of Wroclaw, Poland, the 900-square metre eatery has been operational since 1273, when the country's stodgy diet was characterised by spice, beef and beer. Counting the composer Frédéric Chopin and writer Johann Wolfgang von Goethe among its distinguished diners, it was the city's only beer brewery for several hundred years. 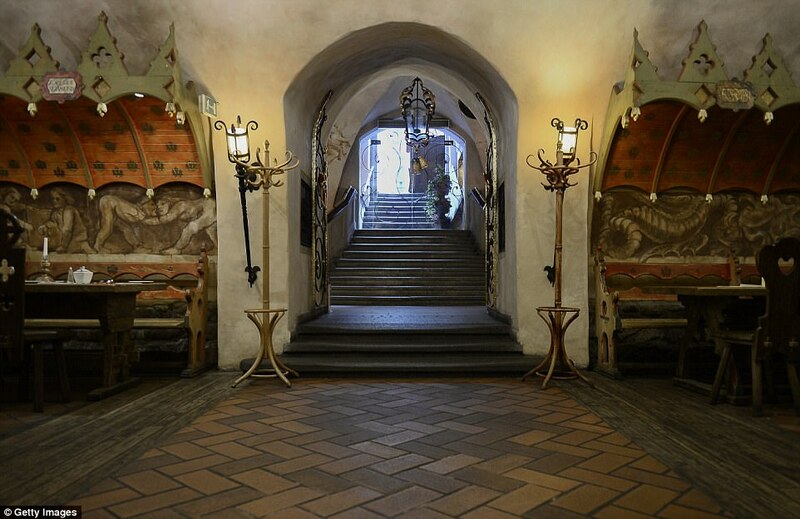 From the day it opened the restaurant's layout was evolving, until in the 15th century the basement took on the form familiar to tourists today. The cellar's vestibule was linked by tunnel to an underground brewery in 1519, when beer barrels would be rolled into the restaurant. Since then, changes have been merely cosmetic - including in 1904, when the decor was switched to an Art Nouveau style. 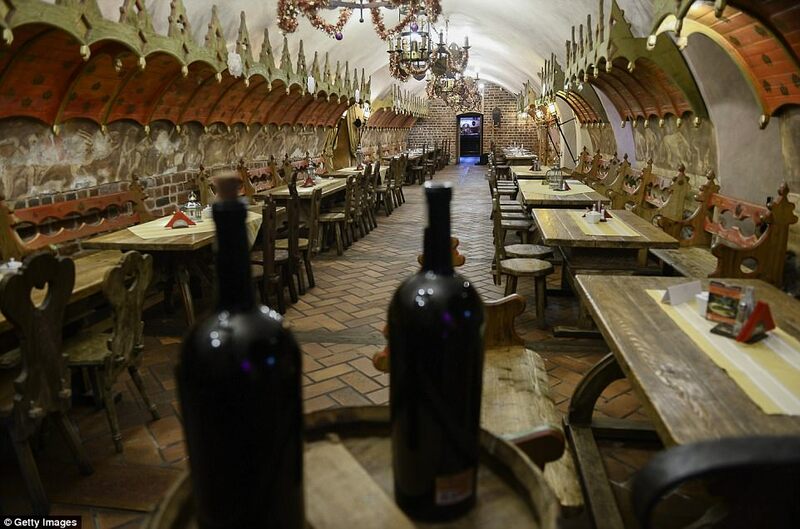 Though the city was bombed in 1945, the cellars remained mainly intact. 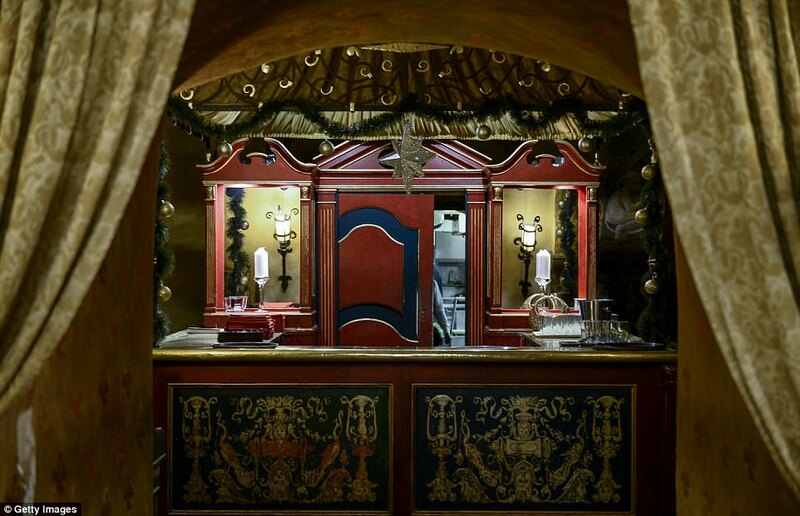 Sitting under the basement of Wroclaw Town Hall, the restaurant offers space for up to 380 guests and still prides itself on offering traditional Polish dishes.